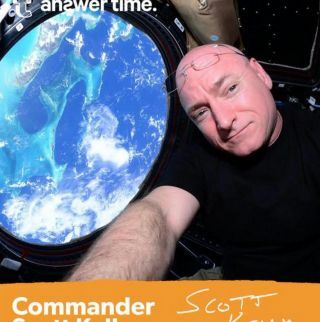 NASA's one-year astronaut Scott Kelly, apparently not satisfied merely breaking U.S. spaceflight records on the International Space Station, is about to spin records of a different type today ( Feb. 18) when he steps in as a guest host on NASA's Third Rock Radio during a two-hour web broadcast. NASA's Third Rock Radio is a music station managed by RFC Media to blend music entertainment with NASA's awesome space discoveries. "RFC Media matches 'new rock discover'” with tales of NASA's exciting, on-going mission to create one of the most talked about digital radio channels on, or off the planet. Third Rock fans worldwide share their discoveries from Music Explorers who present 'the best new rock out there – really out there!'" NASA officials wrote in the statement.